Mike Oxford, director of the Topeka Independent Living Resource Center, speaks to disability advocates in Topeka after returning from Washington, D.C., where he was arrested during a protest of the new Senate health bill. Editor’s note: This story was updated at 3:10 p.m. June 27. Disability rights advocates are among the strongest opponents of the Obamacare replacement legislation that Republicans are attempting to push through Congress. If anything resembling the bill that the U.S. House approved in May or the one the Senate is considering passes, they say it will roll back decades of progress. Both bills propose Medicaid cuts approaching $1 trillion over 10 years. Cuts of that magnitude, they say, would force reductions in services that Americans with physical and intellectual disabilities need to help them live independently in their communities. “I’m very afraid that people would have to go to nursing homes,” said Kim Dietrich, a 46-year-old woman with cerebral palsy who works for the nonprofit Topeka Independent Living Resource Center. Mike Oxford, the center’s director and a national disability rights organizer, has more dire fears. “People will die,” he said. Oxford said he knows people who would rather die than live in an institution. “People would sit at home and not get any help and end up not getting medication and die,” he said. Oxford was one of more than 40 disability rights advocates arrested last week for blocking the entrance to U.S. Senate Majority Leader Mitch McConnell’s office in Washington, D.C., while protesting. They entered McConnell’s office and those who could clambered out of their wheelchairs onto the floor. “We set it up to be dramatic and make a point, and also to make sure we couldn’t just be carted out of there and be out of sight and out of mind in five minutes,” Oxford said. Kansas’ share of the Medicaid cuts would total about $1 billion, according to an Urban Institute analysis. Such deep cuts would make it difficult for the state to maintain services to the approximately 15,000 Kansans with disabilities now receiving services and slow efforts to extend them to the nearly 5,000 people still on waiting lists, Oxford said. Senate GOP leaders announced Tuesday afternoon that a vote on the bill had been delayed until after the July Fourth recess, in part because support among Republican senators was uncertain. All 46 Democrats in the U.S. Senate and both of the independents who caucus with them are on record opposing the bill. U.S. Sen. Jerry Moran, of Kansas, issued a statement soon after the vote delay was announced that he opposed the current version of the health bill. “The Senate health care bill missed the mark for Kansans and therefore did not have my support,” Moran said. 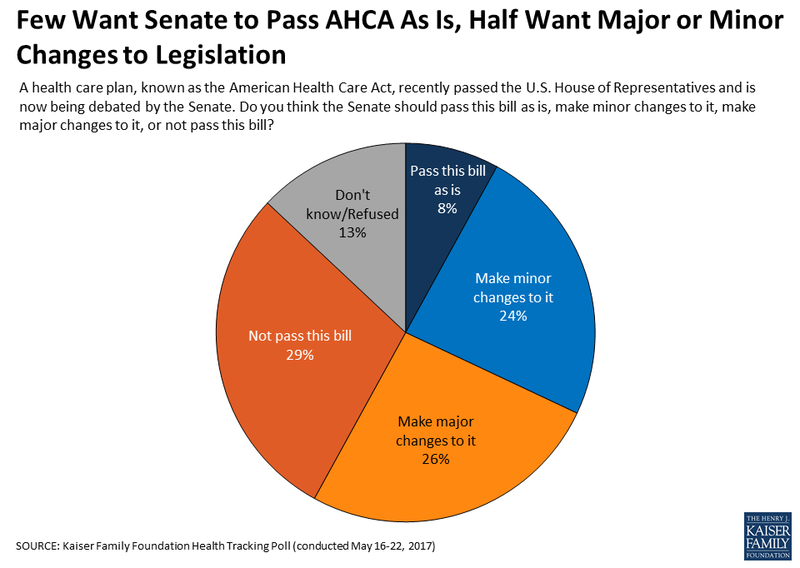 The vote delay followed the release Monday of an analysis of the bill by the nonpartisan Congressional Budget Office. That analysis estimated that 22 million more people would be uninsured by 2026 under the Senate bill. “We urge Senators Moran and (Pat) Roberts to vote against this reckless legislation,” Jordan said. “What’s the other alternative? I don’t see anything from the other side except, you know, single payer, and that’s socialized medicine,” Roberts said. 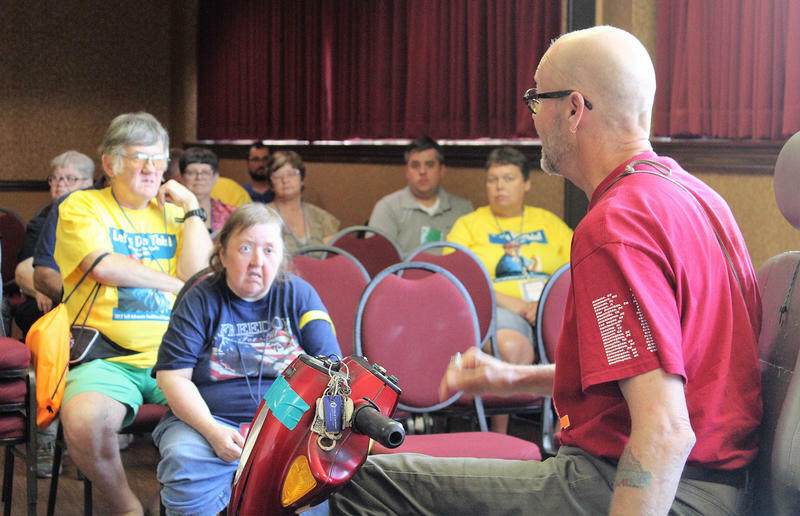 Members of the Kansas chapter of ADAPT, a national disability rights organization, planned demonstrations Tuesday at Moran’s offices in Pittsburg, Wichita and Hays. Kansas U.S. Sen. Pat Roberts is not enthusiastic about the Senate’s version of the Obamacare replacement bill. Just 31 percent of Kansans and 32 percent of Missourians support the House-approved bill to repeal Obamacare, according to new estimates published Wednesday in The New York Times. In fact, not one state has a majority of residents who are for the measure, with support ranging from a low of 22 percent in Massachusetts (Washington, D.C., is even lower at 16 percent) to a high of 38 percent in Oklahoma, according to the estimates. 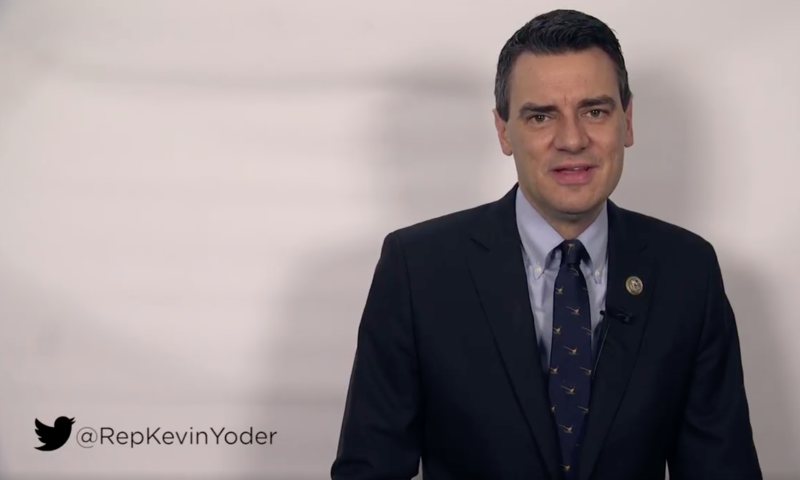 As support for single-payer healthcare gains momentum among Democrats in the U.S. House, Rep. Kevin Yoder of Kansas blasts the idea as a “nightmare” scenario that must be prevented. In an opinion piece published this week by Fox News, Yoder frames the Republican-backed American Health Care Act as a necessary alternative to the Expanded & Improved Medicare for All Act, a plan which has now been co-sponsored by 112 of 193 House Democrats, including Rep. Emanuel Cleaver of Kansas City. 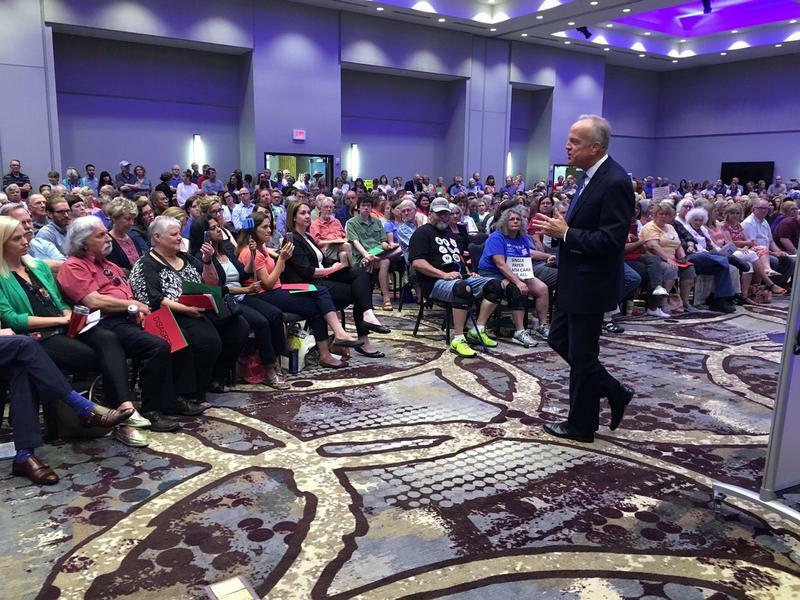 Hundreds of people, including members of the activist group Indivisible KC, looked for answers at a town hall hosted by U.S. Sen. Jerry Moran, a Republican from Kansas, Monday morning. The Republican's town hall at the Lenexa Conference Center was his first in Johnson County in over a year. It was a long time coming for some. "Indivisible has been asking for a town hall in the eastern part of the state since January and we finally got one,” Indivisible KC Board Member Leslie Mark said. 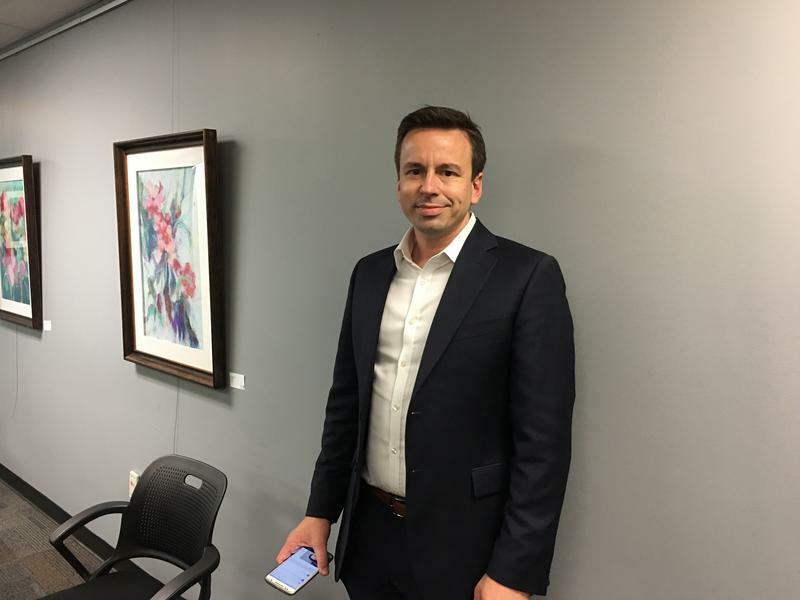 Olathe native Tim Gronniger served as a top official with the Centers for Medicare and Medicaid Services under the Obama administration. Currently a non-resident fellow at the Brookings Institution in Washington, he also was a senior adviser for health care policy at the White House Domestic Policy Council, a senior staff member for Rep. Henry Waxman, Democrat of California, and an analyst with the Congressional Budget Office.